There shall be no replays in any rounds of any of the cup competitions. Drawn matches shall go to extra time provided the umpires decide the conditions permit. Up to 2 periods of extra time of 5 minutes each shall be played under the Rules of the Silver Goal. If the teams are tied at the end of extra time, a penalty stroke competition shall decide the outcome. Captains/managers will give the 5 stroke takers to the umpires and the order in which they will take the strokes – Remember they must take the strokes in the order they have been given to the umpires. The Committee shall as soon as possible after Official Season start date determine the composition and rules regarding each Cup. The Committee reserve the right to suspend/resume the running of Cups prior to the start of each Season. 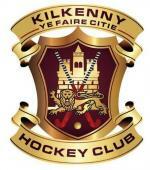 Clubs will be informed of rules regarding the entry into all LHA Cups in advance of each Season. Any breach of these regulations may result in a disqualification. Any fines imposed for breach of any regulations for a team must be paid before the next round of the cup or the team will be disqualified. (b) All affiliated teams shall be eligible to compete in Cup Competitions appropriate to their League Division. (c) Draws for the Cup competitions shall be made in the presence of at least two (2) committee members. The draws of all cup competitions will be published. (d) There will be an entrance fee for each cup competition. (e) The dates for all rounds shall be fixed by the Section Committee. (f) All finals shall be played at venue, date and time decided by the Section Committee(s) in conjunction with the LHA Board. Umpires shall be appointed by the LHUA (where available). (g) No cup fixture shall be postponed by any team without the consent of the Section Committee representative unless the ground is unplayable or weather is so bad as to render play dangerous. If a walkover is given in a cup competition, the team which does not fulfil the fixture shall not be allowed to enter the competition in the following season and the club will be subject to a fine. 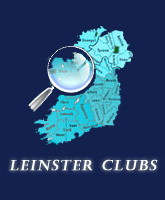 (i) The Leinster Ladies Senior Cup (Jacqui Potter Cup) competition shall be an open draw in all rounds. (j) The names of the teams entered for a competition shall be drawn in pairs and the first team drawn in each tie in the first round shall have home advantage. (k) The duration of each cup match shall be seventy (70) minutes. (m) Unplayed fixtures at all levels shall be played within eight (8) days except if closed dates intervene, when the fixture shall take place on the nearest available date. In the event of a dispute the Section Committee shall decide the date. (a) Each member of any competing team shall be a bona fida member of the club and shall have played in at least part of one league match before the first round or at least part of two league matches before subsequent rounds in the current season. (b) A Cup shall be awarded to the winning team. An individual memento shall be awarded to each squad member (maximum of 16 per team) of both the winners and runners up. (c) If a player substitutes up to a higher team twice in a divisional cup competition they become cup tied. This does not apply to first round matches so it is effective only from the second round onwards. • Since the demotion they haves played one league match for the team to which they has been demoted.